Friction stir welding (FSW) is a relatively new solid-state metal joining process. This joining technique is energy efficient, environment friendly, and versatile. FSW is considered to be the most significant development in metal joining in a decade. Here the paper involves the friction stir welding for two materials such as aluminium alloy (6061) and aluminium alloy (6063). Aluminium alloy (6061) and aluminium alloy (6063) has good corrosion resistance and good weldability. Due to better properties of these materials it can be taken into consideration for Friction stir welding (FSW) and Friction stir processing (FSP). Then the materials are welded under various process parameters, the welding strength for different process parameters are noted and then better parameters is chosen for further Friction stir welding (FSW) and Friction stir processing (FSP) welding processing. During friction stir welding heat distribution will occur. Due to heat distribution some failures will occur and these failures can be analysed through ANSYS software for selecting better welding condition. Vignesh S. "Comparison of Friction Stir Welding and Friction Stir Processing Using Aluminium Alloy 6061 and Aluminium Alloy 6063." 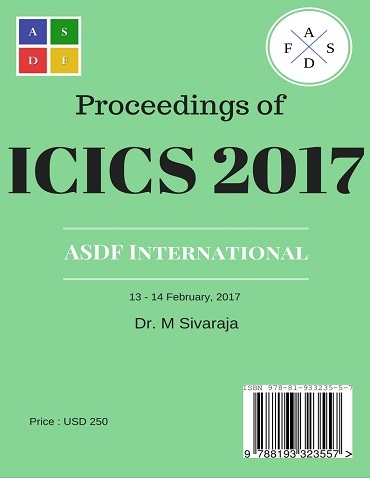 International Conference on Intelligent Computing and Systems (2017): 15. Print.